The bear within Bolverk had awoken and he lumbered through the cold forest, hands and feet digging into the icy soil. The rites spoke of primal living, of natural existence, and shouldering the cruelty of desperation. Living at all costs was what mattered. Bears were built to withstand the harshest and worst winters, to flourish in the verdant summers. They could sleep through the cold months if the land had been kindly, but Bolverk shared the winter nights and days with the less fortunate and more hardened kind. His kind. The rites of the berserk were strict and secret. Every few years, or any time as desired, they reconnected with the ursine spirit within them through trial and distance. Bolverk was wrong to keep any thoughts in his mind, wrong to use words in any capacity, but ever so rarely they crept back in. The Ravens were temporarily absent of their captain. To what would Bolverk return? Back to the woods, if all was gone. The Ravens were motley and not of his creed, nor of his capability. A finer bunch he could never find, but no fellowship among them. Bolverk was not the man to create it. He did not nurture, he enforced. The wind bit at his shoulder, an aching twinge from the scabbed arrow wound, making the cold feel deeper. That foolish girl. He broke the rites when he spoke to her. He should have chased her where she stood. That was the true way. More land passed beneath his legs. Walk on until varl instincts were left behind. Brigands held no interest to him, their presence only spoke of trouble elsewhere in the civilized world. Bears do not pick fights when there is naught to gain. Bolverk stayed high in his tree, watching the thin-skinned ones communicate and trek so inefficiently through the cold. Bears do not bother with talk, and Bolverk did his best to keep his ears full of the forest and not words. “Rotten yox stew is not as satisfying as it once was,” they bickered back and forth. To think, bears were the ones noted as savages. Their talk grew distant as the sun hit peak in the sky. Off to make waste of their own kind. A putrid thing, civilization, rotting in its own juices. A gust stung his cheek, his shoulder prickled with the fresh memory of the arrow. Unlikely it was the girl’s homestead that was the target of the brigands. They were a shoddy sort in any case. If she was any evidence, her family was a strong clan and would benefit from the supplies they gathered from the lowlives headed towards them. The wind bit his new scar. He leapt down from the tree, cushioned by the crisp snow. A bear does not use words, just instinct. 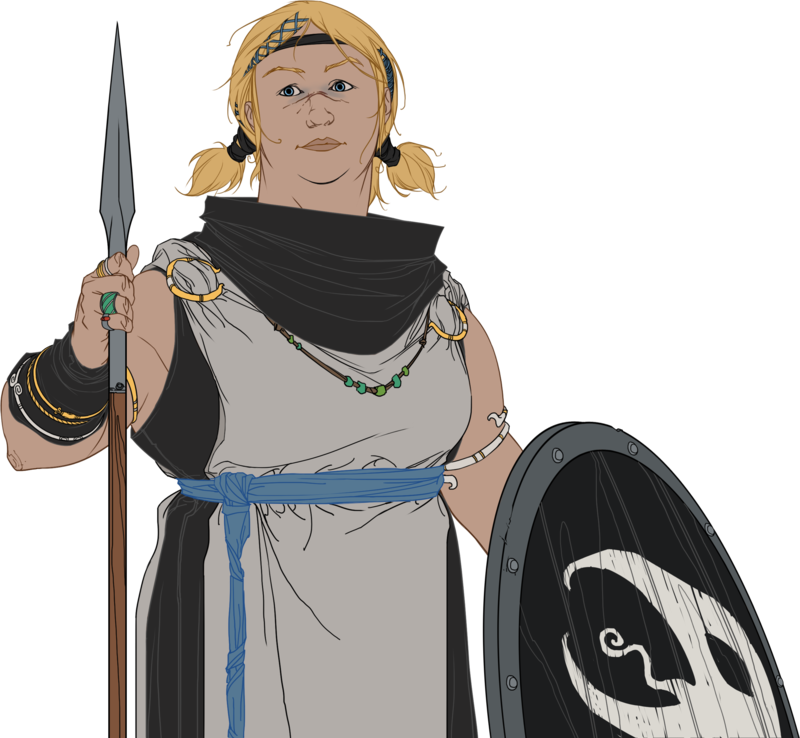 Bolverk’s arms and legs followed the path cleared by shuffling human feet. He pushed out thoughts and followed the scent of battle towards a distant smudge of smoke on the side of the valley.